Patrik Lindström EBM During the Wave Gotik Treffen '03 in the German city of Leipzig I was standing at Park Bühne and was waiting for E-Craft to start their gig. The band that played before them were Plastic and I promised myself that I would do a background-check later when I've came back to Sweden. After I had searched for Plastic with no greater result I forgot about them until the day, four months after the gig when a package of CD's from Accession Records fell in my mailbox. 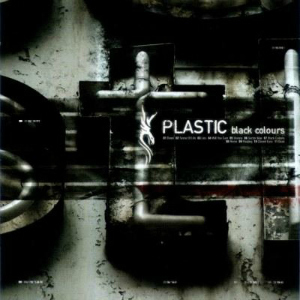 Plastic creates almost the same feeling that Tom Shear (Assemblage 23) does with his music with its fine synth loops and the simple, but heavy drum. It opens up with the intro "Dawn" and it ends with the suitable outro "Dusk". There between you find eight well-done tracks where "Will you care" completely shines with its darker voice that lays the ground for every text line like an echo before its time. You should also notice the tracks "Lies", "Black Colours" and "Home" from this strong second release from the band. Maybe it isn't that new and fresh, but on the other hand it is good. During the Wave Gotik Treffen '03 in the German city of Leipzig I was standing at Park Bühne and was waiting for E-Craft to start their gig. The band that played before them were Plastic and I promised myself that I would do a background-check later when I've came back to Sweden. After I had searched for Plastic with no greater result I forgot about them until the day, four months after the gig when a package of CD's from Accession Records fell in my mailbox.